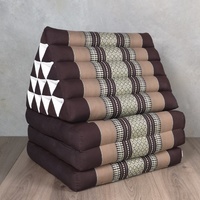 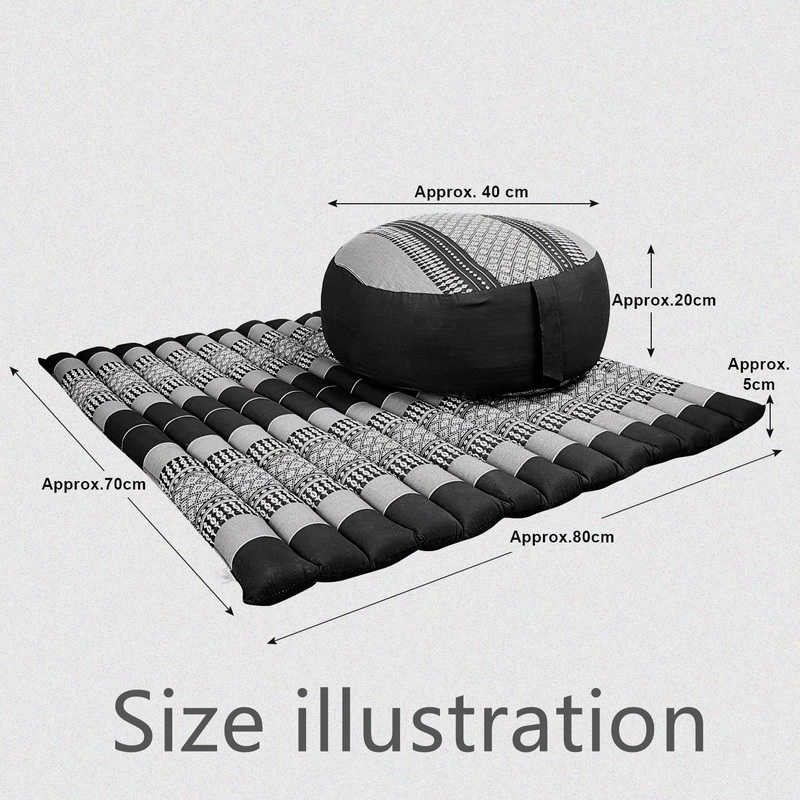 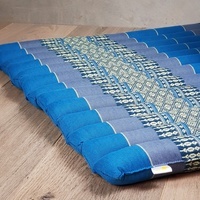 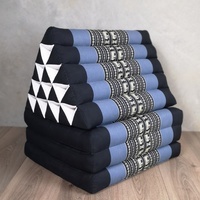 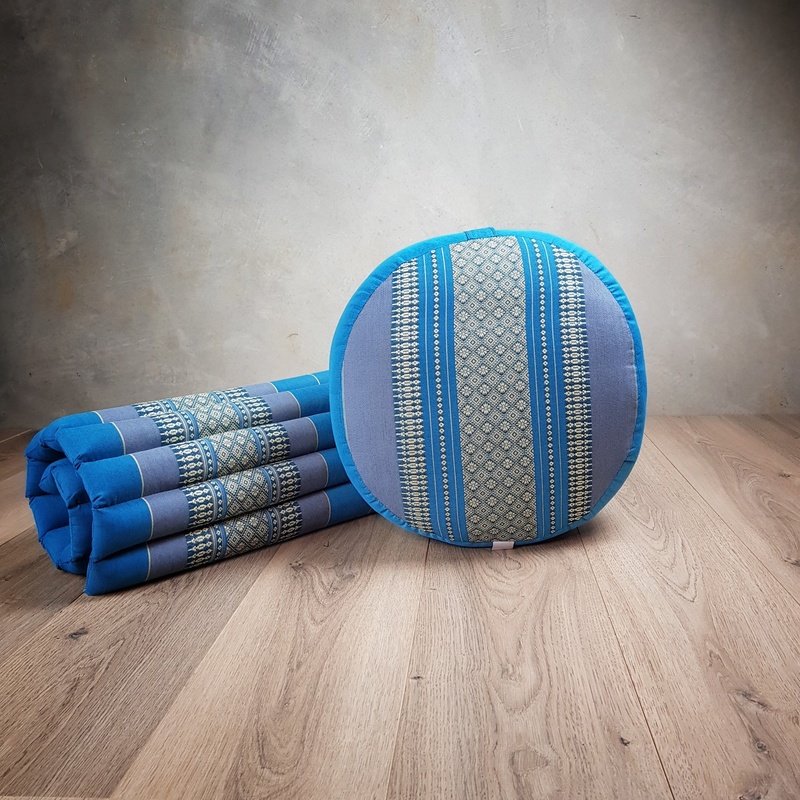 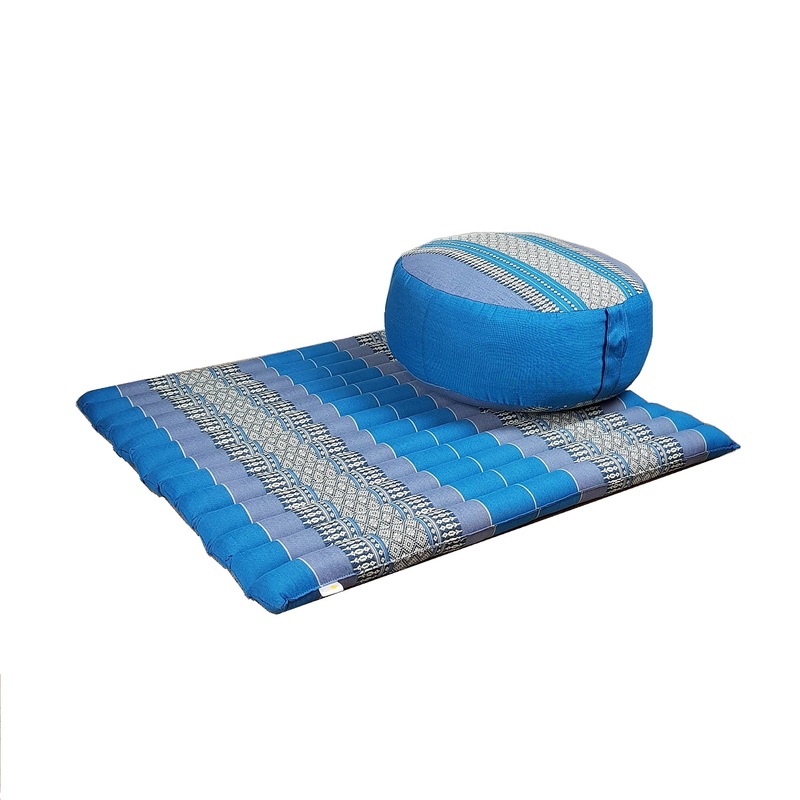 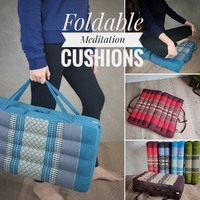 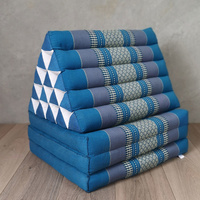 Zafu & Zabuton Foldable Meditation Cushion Thai Classic Square Lai Thai Cushion. 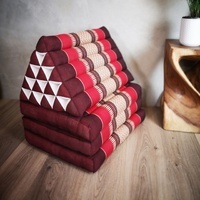 These Round Cushions Make Great Support for Any Hard Chair Or Bench. 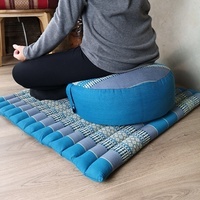 The Firmness Is Good for The Posture, Which Is Why They Are Used Extensively For Meditation Throughout Thailand. 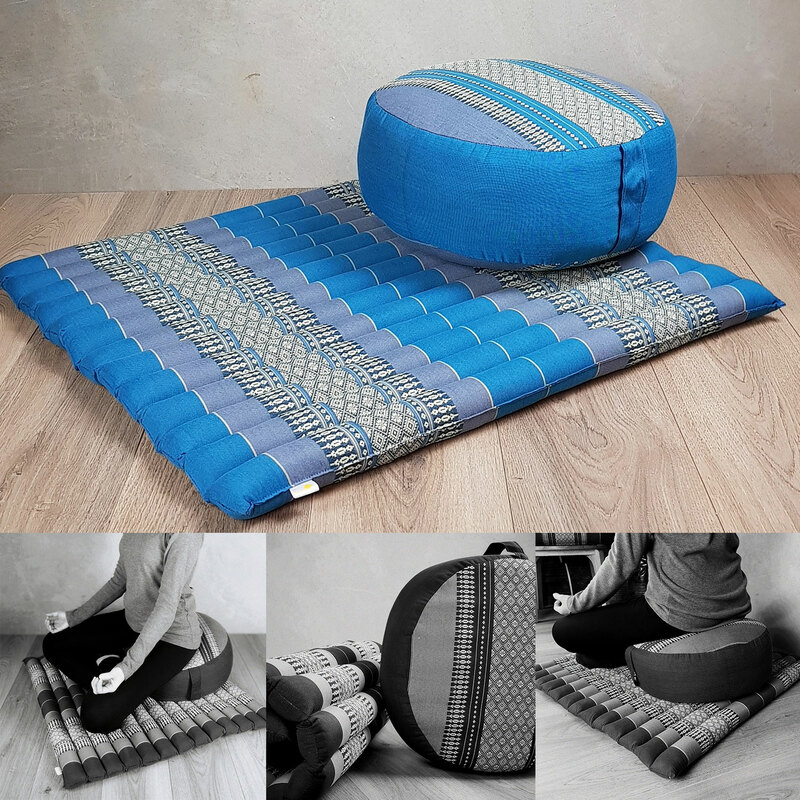 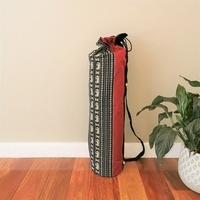 Zafu & Zabuton Set can really help with your posture during your meditation practice. 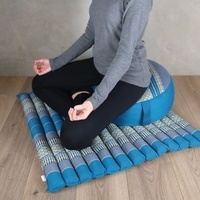 when sitting for long period of time. 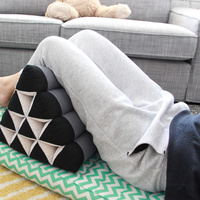 Your back can start to ache without the sufficient back support a regular chair with a back would support. 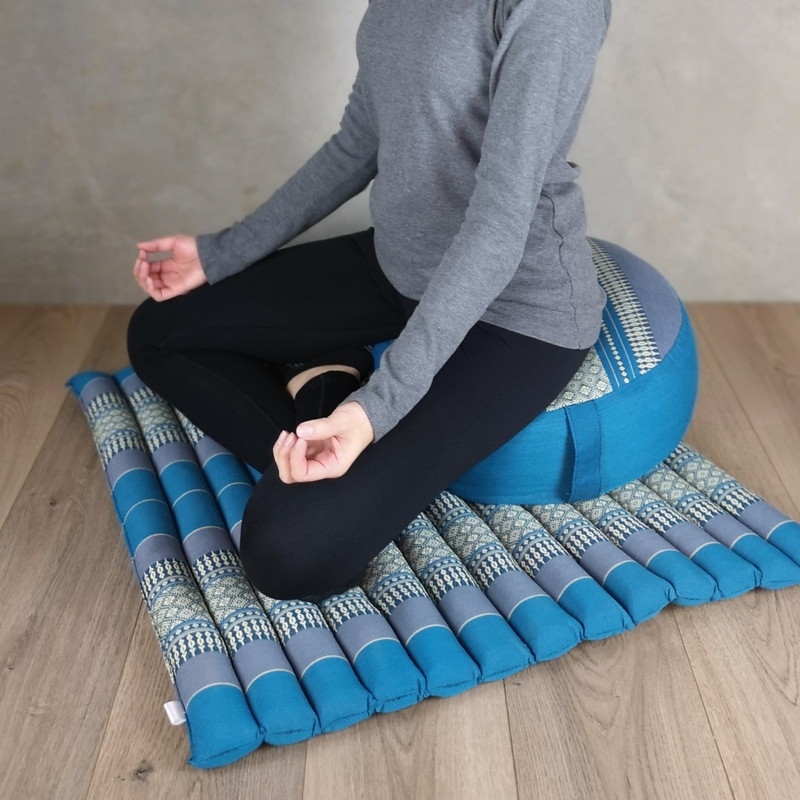 The Zafu is designed to help you sit tall with relaxed, happier hips. Based on the traditional design, its simple shape is time-tested and perfect for new and experienced meditators alike. 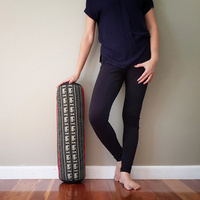 The Zabuton is the perfect size and shape to support your legs and feet. 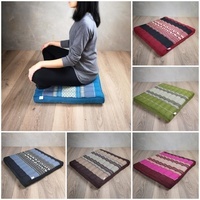 The soft platform lifts you off the floor. 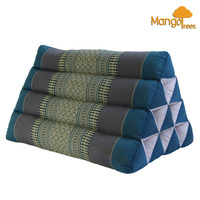 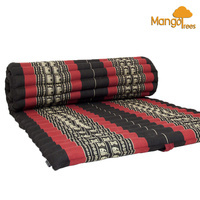 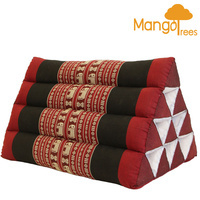 As a pair, these cushions provide the extra cushioning you need to maintain a comfortable seated position. 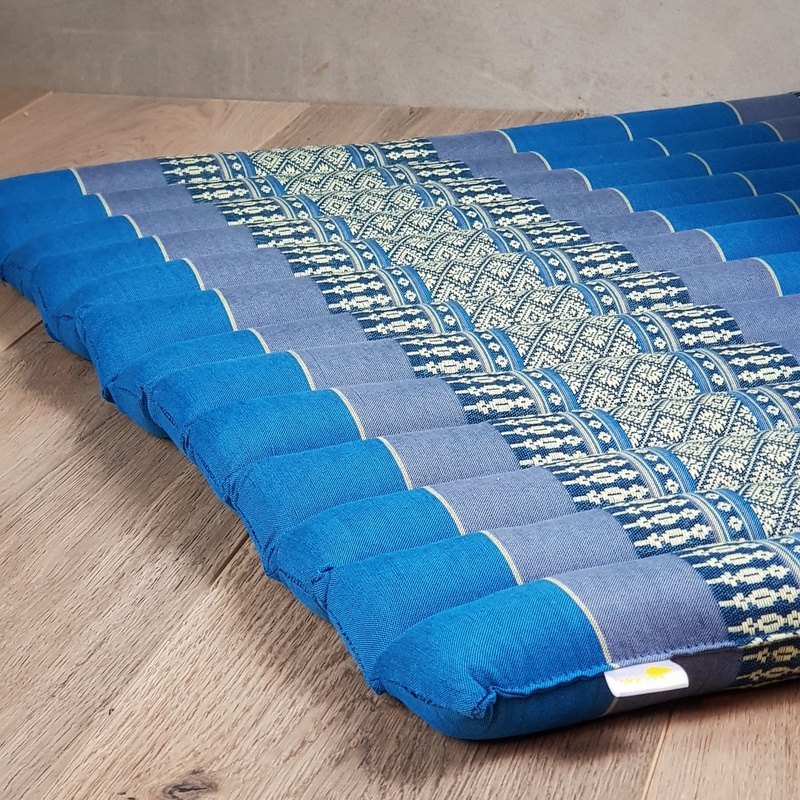 Our pillows and mats are filled with 100% organic kapok, which contains no chemicals or pesticides are used in their design or manufacture. 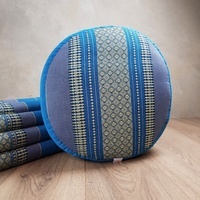 Kapok fibres texture is soft and smooth to touch, providing a supportive yet fluffy feel. 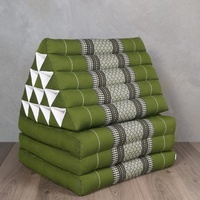 It has a unique quality similar to high quality down with none of the allergens. 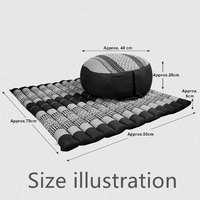 Disclaimer: size and weight may vary slightly this is because these goods are handcrafted and this minor discrepancy should be seen as added character and not as a fault.